Wiesnkoenig USA brings Bavarian style stateside. The Queen City’s annual rite of spring debauchery, Bockfest, celebrates tapping the season’s first bock beers—which it’s said German monks drank to maintain their strength during Lenten fasts. Bock can give you a real kick in the lederhosen, with average alcohol content of 6 to 8 percent (which puts that “strength” into perspective). 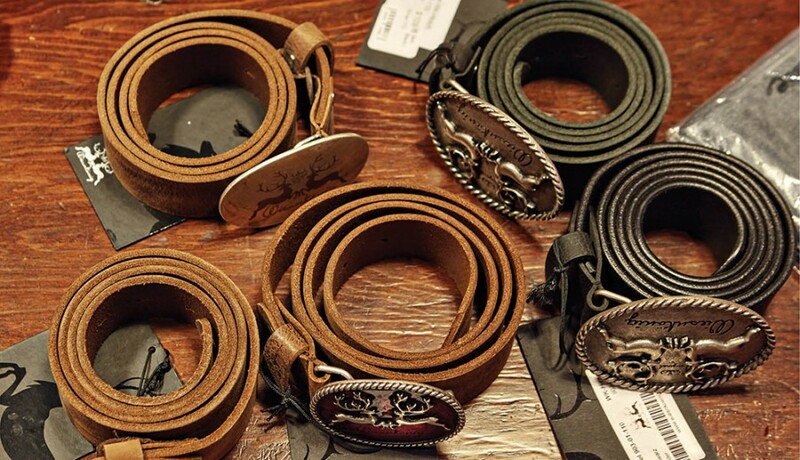 If you want to look your best while partaking in the festivities at Bockfest Hall March 4–6, we have good news: You don’t have to go far at all to get dressed up. 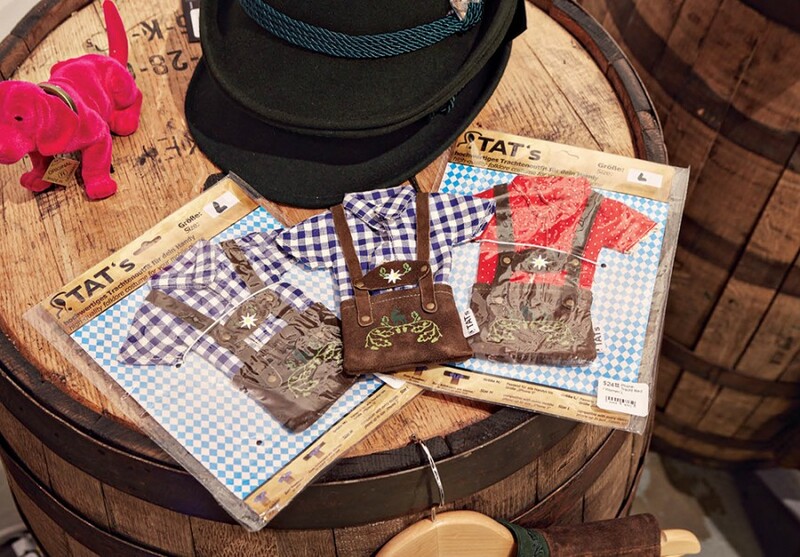 Wiesnkoenig USA is a little lederhosen and dirndl shop inside Christian Moerlein’s Malt House Taproom (a.k.a. 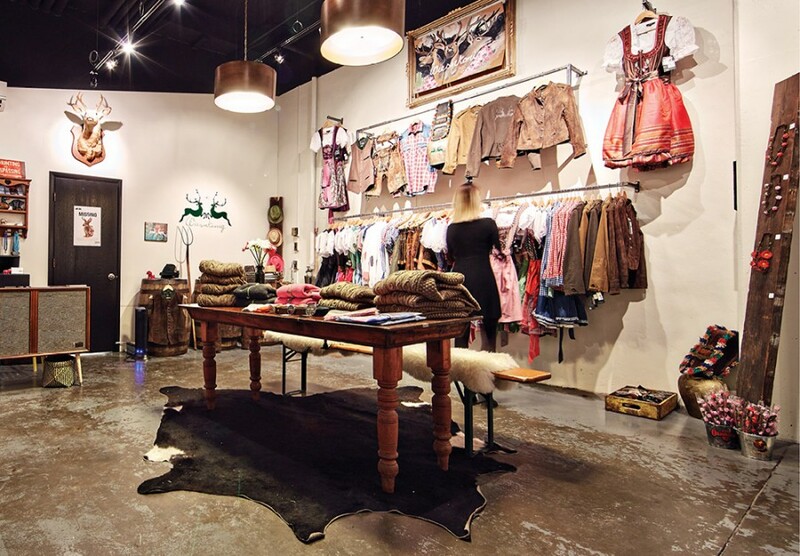 Bockfest Hall), and their clothing is designed to mix seamlessly with your style on non-Bock-Oktober-fest days, too. 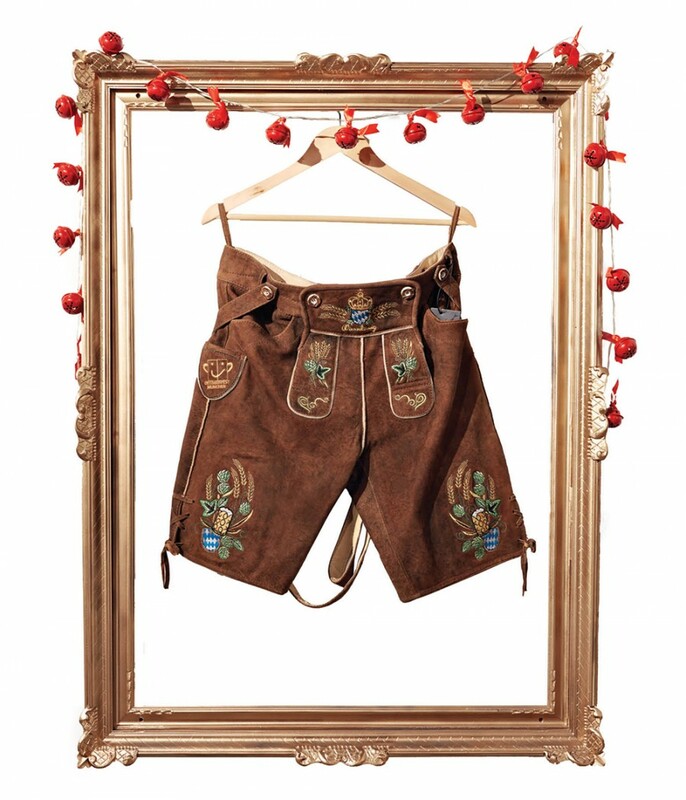 The tradition of Alpine women wearing dirndls and men in lederhosen is ages old, but the company is pretty new: Wiesnkoenig debuted in 2006 with the first officially licensed Munich Oktoberfest lederhosen. The store’s name means “king of the Wiesn,” which is the big field where Oktoberfest is held every year. The company has retail shops in Germany, Austria, and Switzerland, and Cincinnati was picked as the first overseas outpost, thanks to a local connection. Annette Pfund de Cavel, wife of restaurateur Jean-Robert, owns the American store, and her brother, Oliver Pfund, is a Munich-based electronic music producer and marketing consultant for Wiesnkoenig. The look in the little shop is head-to-toe Bavaria. Pfund reports the biggest sellers during Oktoberfest are goat-leather lederhosen embroidered with bayrisch motifs and dirndl dresses that range from the traditional to the extravagant. The most expensive of the dresses are sewn from beautiful Austrian fabric and bedecked with tiny buttons, each with a scene from a story. 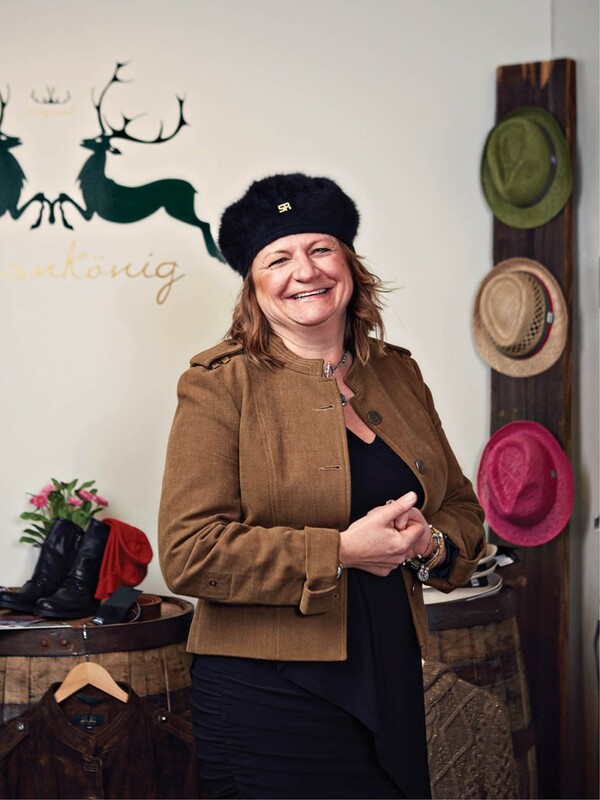 And you can top off any outfit with a traditional Tyrolean green felt hat.